Best Buy will start selling the Apple Watch from Aug. 7, becoming the first national retailer for the smartwatches in the U.S. other than Apple stores, as Apple tries to reach the product to more customers. 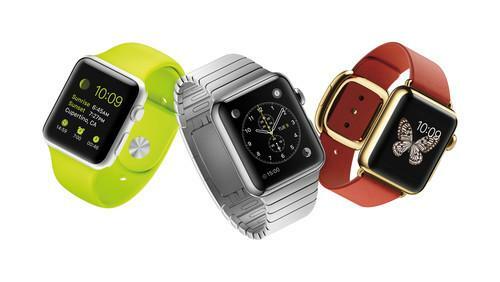 The retailer said the watch will first arrive at over 100 of its stores and on its online store BestBuy.com. Another 200 stores will sell the Apple Watch in time for the holiday shopping, it added. The retailer's customers will get to try out and buy 16 models of the Apple Watch, including the Sport and Watch models in both 38 millimeters and 42mm sizes, besides close to 50 accessories such as watch bands, screen shields, stands, and chargers, Best Buy said. Best Buy said it knows its customers want the watch. "We are excited to bring the Apple Watch to more consumers, especially with the holidays coming up." said Jason Bonfig, senior category officer at the retailer in a post. Apple started shipping the Apple Watch in the U.S. and eight other countries on April 24, following through with launches in seven more countries from June 26. There has been some skepticism recently whether the new product category can be as successful as the company's iPhone smartphone. Apple reported last week US$10.7 billion in profit on $49.6 billion in revenue in its third quarter ended June 27, 2015, up from a profit of $7.7 billion on $37.4 billion in revenue in the same quarter last year. It did not, however, break out its smartwatch sales, which were included in "other products," together with the iPod, Apple TV, Beats headphones and accessories. CEO Tim Cook, however, said that sales of the smartwatch had exceeded internal expectations during an earnings conference call. The company had started taking preorders in nine countries on April 10, but demand immediately outstripped supply. To prioritize the first orders, the company delayed the availability of Apple Watch in its own retail stores until mid-June, he added. The Best Buy tie-up indicates that the supply position could have eased and the company is now looking for more channels for the new product. Apple shipped 4 million watches to get a 75 percent share of the worldwide smartwatch market in the second quarter of 2015, research firm Strategy Analytics said last week. Apple and Samsung Electronics together accounted for 8 in 10 of all smartwatches shipped, but Samsung was way behind with an 8 percent market share.